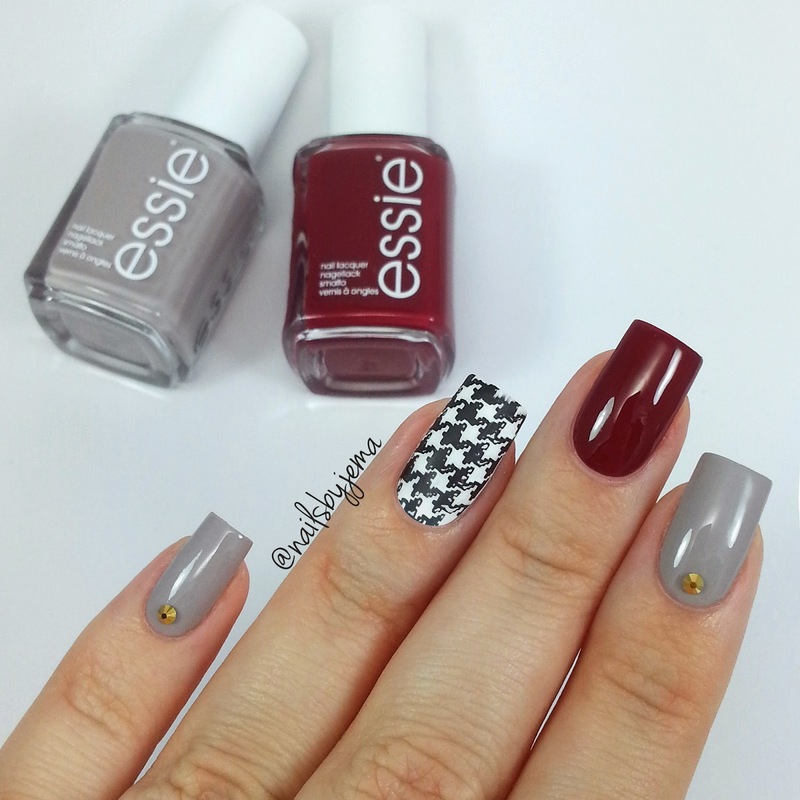 N A I L S B Y J E M A: Obsessed with Houndstooth and Essie Polish! I used Essie 'Dress To Kilt' & 'Take It Outside' and these polishes are so amazing they were almost one coaters. I LOVE that! Also, I am LOVING the new wide and flat brush Essie!! 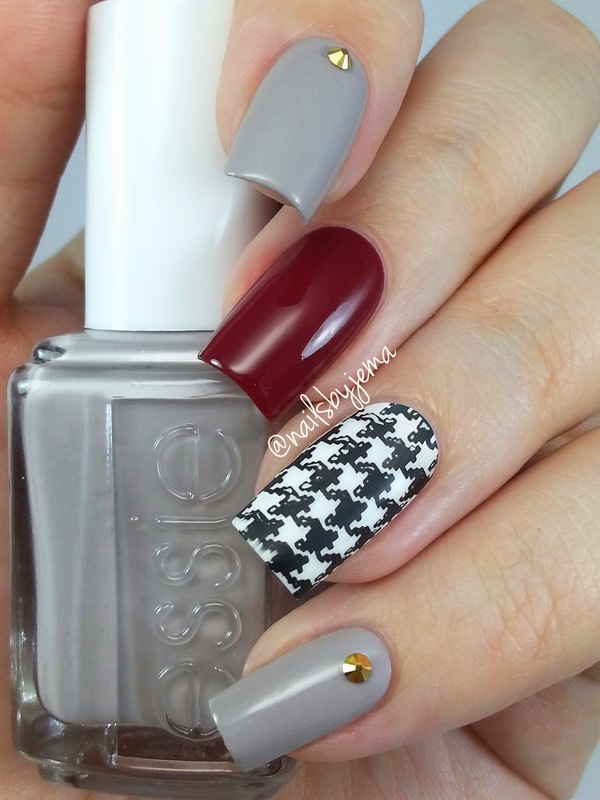 I used MoYou London The Pro plate 04 for the houndstooth pattern because ain't nobody got time to hand paint that on if you don't need to. The gold Swarovski's are from Daily Charme. I am obsessed with Swarovski now and am never going back to rhinestones. Seriously girls, pay the extra money. They are incredible! SO much more sparkly and reusable. You can soak these bad boys off in acetone and use them again and they will look brand new. So worth the extra money. 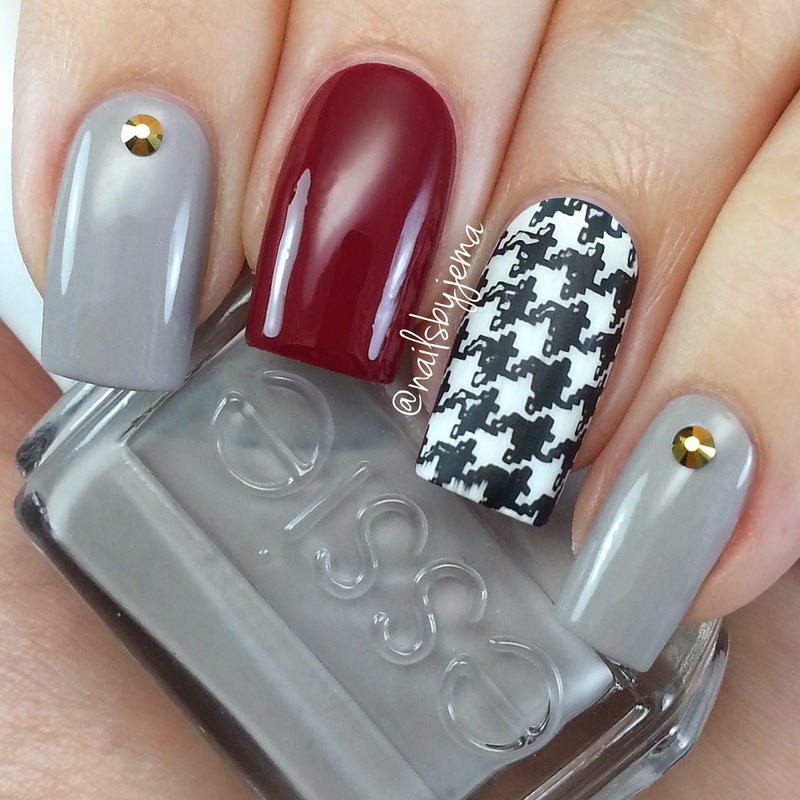 I also didn't realise this at the time because I don't follow college football in the states (just the NFL), but these are perfect University of Alabama/Roll Tide/Crimson Tide nails! I have a few Alabamians on my instagram who alerted me to this fact and I LOVE that! Coincidence WIN! Essie Australia are launching their instagram later this month at @essieaustralia so keep an eye out for that Aussie readers!